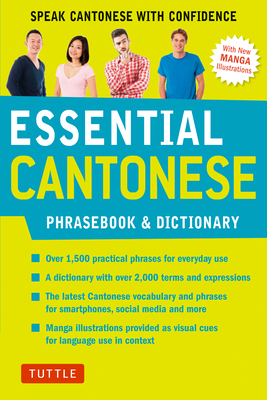 Look-up words quickly and easily with this travel size Cantonese phrasebook and dictionary. Essential Cantonese Phrasebook & Dictionary clearly and concisely presents all the everyday words, phrases and expressions you need when traveling to Hong Kong and Canton (Guangdong). With 14 chapters covering topics from talking about the weather to what to do in an emergency, you will never be caught unprepared. Essential Cantonese is the best book to get for travel to Hong Kong and Canton-- interact confidently with native Cantonese speakers.